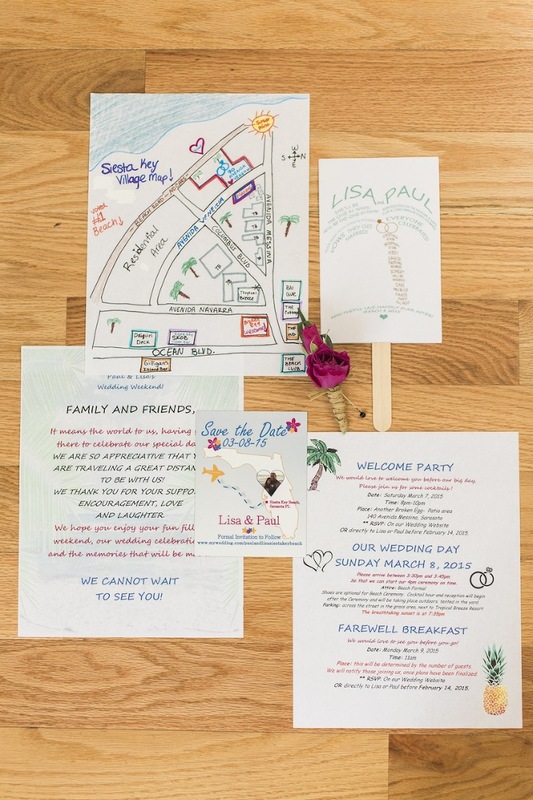 Lisa and Paul traveled over 1,000 miles from Central Massachusetts to say their “I Do’s” for their Siesta Key Beach destination wedding. The couple chose a resort that could house all of their wedding guests and offer a private beach and outdoor reception area. 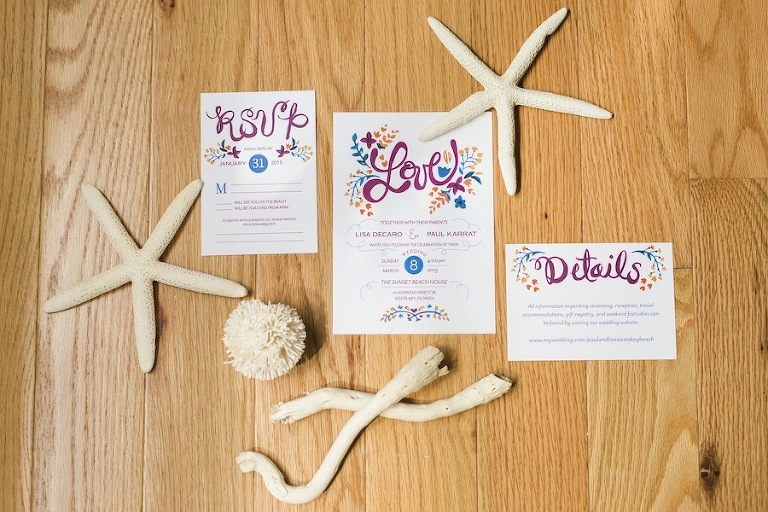 Because planning a destination Florida wedding can be daunting, the pair hired Sarasota wedding planner Kimberly Hensley Events. 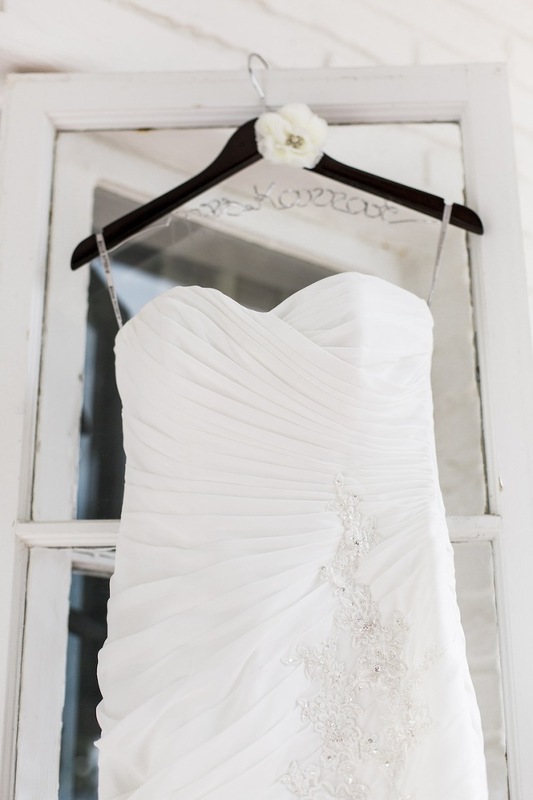 Looking back, one of the bride’s most memorable moments came at the start of her wedding ceremony. Our ceremony archway was made of palms in the shape of a heart for love, my brother blew a conch horn during our kiss for good luck, during our ceremony, each of our guests made a special wish for us while holding a seashell and tossed them all together back into the ocean after the recessional. I wanted to enjoy the engagement and planning of our wedding, and I knew without a planner, I would have been too overwhelmed and stressed to enjoy any of it. Aside from marrying my husband, having a planner was the best wedding decision we made. 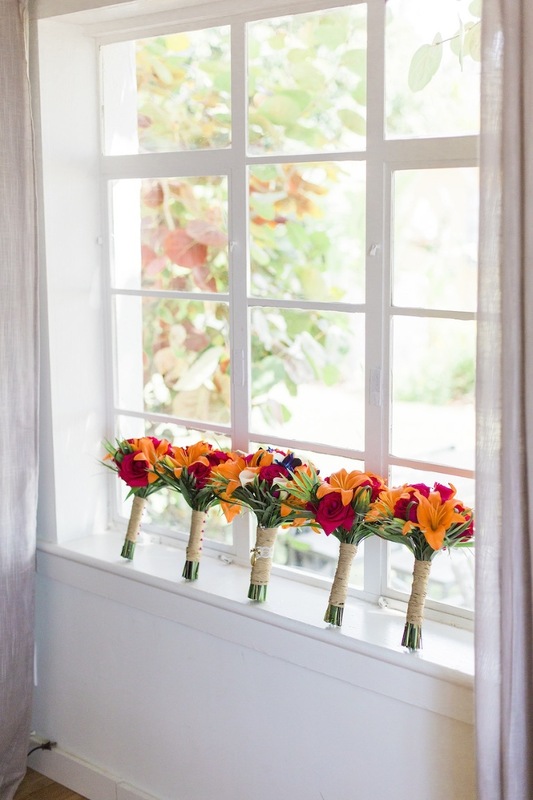 Kimberly [of Kimberly Hensley Events] made it possible for our wedding dreams to become reality and also allowed me to embrace the fun in the planning and stay relaxed on the wedding day. From the first moment we met Kimberly, we knew she was the right fit for us. She was friendly, professional, punctual, organized and genuinely wanted to get to know us and our vision for the big day. She far exceeded any expectations we had in a planner, always going above and beyond to help us out and keep everything running smoothly and stress-free! Her work is perfection! She is definitely the best in the business. Paul and I had been together a little over a year when he proposed. We love to go hiking in new areas, but little did I know this hike would be one of the most memorable days of my life! On a sunny day in August, we hiked through the woods to the most beautiful cascading waterfall. We had reached the bottom of the falls, and Paul dropped to one knee and asked me to marry him. I was completely surprised and overwhelmed with tears pure joy! It was a totally surreal experience, perfect to say the least! He took my breath away, and I was speechless, falling in love with him all over again. It was an amazing day! Tiki chic. I wanted our wedding style to be unique. Instead of the usual “beach theme” with seashells and starfish, I wanted a more tropical feel with bright colors, palms and pineapples. We love tropical vacations and having a lot of fun together, but we are also very romantic and affectionate. Our tiki chic theme allowed our personalities to come through the decor, which was classy, yet relaxed and combined our excitement for fun and tropical places with the love we have for each other. Bright royal blue and deep pink, with some orange accents. I wanted bright ocean and sunset colors so they would really stand out next to the white sand on the beach and grassy reception area. I wanted my colors to pop while complementing the gorgeous scenery. Enjoy planning, relax and hire Kimberly Hensley Events! It goes by too fast, and you really want to look back and say you enjoyed your planning and engagement with fond memories. Kimberly truly made my dream wedding a reality. and I couldn’t have done it without her. Know what you want and don’t procrastinate your planning. It’s a big day, and you want it to run smoothly and be memorable. Having to settle on last minute decisions or last minute venues and vendors is not the best route; you deserve to have an amazing day, so plan and hire with enough time to make the best decisions for your special day. Lastly, don’t forget to have fun and embrace your time as the bride-to-be and the bride! It’s truly the best day of your life.